Spruce Up Your Home for Fall! It’s that time of the year again! Prepare to be bombarded with comfy sweaters, hot coco, pumpkin spice scented candles, and beautiful scenery! After the weather change, you’ll want to change up your color scheme and usher in Fall with new home decor suited to the season. As the weather gets colder each day, you’ll want to find new ways to insulate your home and lower your heating bill. Drapery panels are just the thing. Drape them over your blinds or shades for a gorgeous look that is not only beautiful, but also functional. The holidays are coming up and we know you want to be prepared for visits from the in-laws and hosting holiday gatherings. Beautify your home and make a statement with your window treatments. Schedule a free in-home consultation to design your new Fall inspired Window Treatments! This entry was posted in Window Basics, Windows Done Right on September 22, 2015 by 3 Day Blinds. Inside vs. Outside Mount? What’s the Difference? Inside or Outside Mount? What’s the difference? If you’re having trouble deciding between the two, we’ve got a simple explanation that will help you better determine which window treatment mounting option is right for you! The outside mount is the most common mounting option for drapery. The decorative hardware is attached to the outside of the window frame and you get to decide exactly how much of the curtain rod you want to be visible. 3 Day Blinds offers a variety of different decorative hardware options! You’ll enjoy choosing between Custom Wrought Iron, Adjustable Metal, and Custom Wood. Your design consultant will help you decide how exactly you want to hang your window treatments. Check out our Custom Drapery! The inside mount is ideal for Cafe curtains and is also great when using Rod Pocket top and bottom panels. This type of mount attaches to the inside of the window frame. Choose an inside mount for areas where you want to allow light in from above, or minimize the distraction of a beautiful decorative hardware piece. Schedule your in-home consultation to speak to your design consultant more about your window treatment needs! We will design, measure, and install your window treatments while you relax. This entry was posted in Window Basics, Windows Done Right on September 21, 2015 by 3 Day Blinds. Hi I’m Reina Esperanza, Merchandise Coordinator at 3 Day Blinds. Working with fabrics and patterns every day is such a great experience. It’s so easy to appreciate the beauty and allurement that each fabric can bring. How can I pick only a few of my favorites? Well with some deliberation, here they are my favorite fabrics from the 3 Day Blinds line. I hope that you enjoy them just as much as I do! It’s finally the summertime! The beach is the best place to be this time of year. Smelling like sun block as you enjoy the sand, surf, breeze and simply taking pleasure in relaxing along the shore. The coastal design helps bring that feeling home. The pattern Barrier Reef | Sea Breeze is a beautiful fabric that is both fun with the reef pattern and sophisticated with the embroidery. By adding a Roller Shade in Calceta | Driftwood, you’ll have all the elements you need to complete that beach feel. Don’t limit your silver to just jewelry and kitchenware! Being easy on the eyes, grays are the neutral of the season. Grays are everywhere and offer a bit of sophistication to soften the environment. Most shades of gray are absorbent colors that change with the light, so it’s easy to match with your current decor. With an intricate pattern, Eminence | Silver adds the visual interest you need to intrigue your guests with your elegant style. In addition, metallic colors such as copper are playing an increasingly important role in modern design. Eminence | Russet embraces the copper tone with highlights of yellow and a subtle hint of clay. Aren’t these modern metals marvelous! But, soft! What light through yonder window breaks? It is Sheers! Sheers give a whimsy and romantic feel to any space. Sheer fabrics are anything but basic. Fresh textures, patterns and embroideries subtly create drama in any space.The soft hand and flow of Ex Marks | Snow will put you in a trance as you see how the sunlight delicately illuminates your home. Enjoy the wondrous world of ethnic patterns and exotic designs. See what the world has to offer! Now more than ever, people are connecting throughout the world thanks to advancing technology and social media sites like Pinterest, Instagram and Facebook. Everyone is a traveler whether it be backpacking through the rainforest or liking the latest feeds from your favorite social media site. The earthy feel of Marrakesh | Clay paired with a Woven Wood Shade in Terra Rouge | Ebony transforms the space into a place perfect for any traveler (or anyone that loves the authentic beauty of our multicultural world). We’ve got all the trends covered! Your style is in here somewhere, I just know it. It’s been fun sharing with you the fabrics and patterns of the line. Enjoy finding your style and bringing it home! This entry was posted in About Us, Design Consultant Speaks, Inspired Home, Windows Done Right on July 29, 2015 by 3 Day Blinds. 10 Ways to Re-purpose Your Old Windows. Reusing old windows is much easier than you think. If you love DIY projects and want to add some vintage charm to your interior space, there are almost limitless decorating options for old windows. While 3 Day Blinds gives you a Window Makeover with new curtains, Plantation Shutters, Venetian Blinds or Shades, you can start on your own Window Makeover and add old world character to your living space. So dust off those old window panes and check out some of these unique ways you can use them to add visual warmth to your home. This entry was posted in Window Basics, Windows Done Right on June 23, 2015 by 3 Day Blinds. There are so many choices when it comes to window treatments. That’s why 3 Day Blinds provides free in-home consultations so you can see the products and how it would look in your home. The CW 2, invites 3 Day Blinds Design Consultant, Harmony Nekvasil, to Colorado’s Best, to talk about our custom window treatments. 3 Day Blinds offers over 1,000 different custom window treatments. Some of the products trending in the market right now include Bamboo Shades and Soft Roman Valances. Our beautiful Bamboo Shades are eco-friendly and our raw material comes from sources that are renewable or sustainable. This year we updated our line with 24 new patterns. If you want to incorporate natural elements in your home, Woven Woods, otherwise called Bamboo Shades or Bamboo Blinds, are a great way to go. We worked with our weavers to develop exclusive designs and colors that you will only find at 3 Day Blinds. This entry was posted in Blinds I Love, Design Consultant Speaks, Happy Customer, Windows Done Right on May 18, 2015 by 3 Day Blinds. 3 Day Blinds stepped in to bring new Window Treatments to the Northern Nevada Children’s Cancer Foundation. This amazing organization makes it their mission to enhance the quality of life for children with cancer and their families by providing financial and emotion support. They advocate for increased research funds and raising public awareness. We are so grateful for everything they do and were thrilled to give their office a Window Makeover. 3 Day Blinds added these beautiful new Venetian Blinds to their office space. It gives it a clean, polished look and pairs well with their curtains. See the difference Venetian Blinds can make in an office or a home! This entry was posted in Design Consultant Speaks, Home Makeover Tips, Windows Done Right on May 13, 2015 by 3 Day Blinds. Sprucing Up Your Home For Spring! This Spring, give your home a fresh new look with 3 Day Blinds custom window treatments. 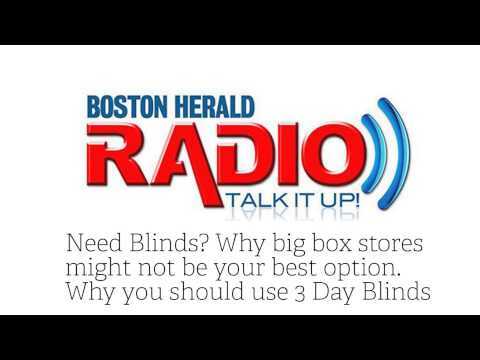 Boston Herald Radio Host and Columnist, Jacklyn Cashman contacted 3 Day Blinds to share her experience with our brand. At 3 Day Blinds, we strive to delight our customers and offer them the guidance and design expertise needed to make their home look and feel wonderful with new window treatments. We love what we do and we are so thrilled to help Jaclyn Cashman and other customers like her find the right window treatments for their space. Check out our Plantation Shutters, Custom Curtains, Shades, Blinds, and more! This entry was posted in Window Basics, Windows Done Right on May 11, 2015 by 3 Day Blinds. Do you want your Blinds to sorta look like they fit, or do you want perfect fit blinds? 3 Day Blinds window treatments are Made To Measure. By this, we mean that you are guaranteed a custom fit. You may have asked yourself, “How hard can it be to measure a Window?”, but there are all different ways to measure and a hundred ways to get it wrong. Check out our measuring guide for details. Give yourself the peace of mind and call 3 Day Blinds or schedule an appointment online. We will Design, Measure, and Install your Window Treatments while you relax. 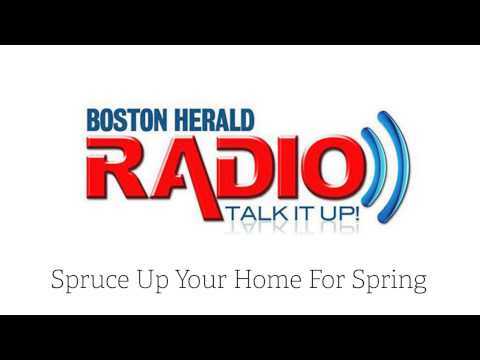 Boston Herald Radio Host and Columnist, Jaclyn Cashman describes our “Room Darkening” Shades as a Blackout Shades because the custom fit minimizes the amount of light that can enter a room. See for yourself how our Made to Measure Curtains, Blinds, Shades, or Drapes can help you get a better night’s sleep. A new trend has tons of women cleaning out their closets until they’re left with only 33 things. What if we limit our fashion choices as well as our home decor to only the best fitting items? When you invest in custom, made to measure curtains or blinds, you’re investing in presentation. Why settle for window treatments that “almost fit” when you can make your home look fabulous with a custom look made just for you? Celebrities love to pull off unique fashion statements and show off designer clothing made just for them. Give your home the celebrity treatment with made to measure curtains and perfect fit blinds. Invest in your home like you invest in your favorite fashion choices. 3 Day Blinds can design all types of made to measure Venetian blinds, curtains, or shades that are uniquely you. Celebrities at their best with these custom looks. When you order from 3 Day Blinds, you’re getting window treatments that are manufactured and designed to fit your windows. As our motto goes, “We design, we measure, we install, and you relax”. 3 Day Blinds stands for making the process hassle free and providing you with a unique experience. Our consultants will design your window treatments to fit your style and budget. Why settle for blinds that come ready made out of a box? Ready made will never fit as well as custom window treatments. Love your home. Take care of it like you take care of yourself. A beautiful home will give you peace of mind and make you feel at your best. Remember, an investment in your home is an investment in your presentation. Get the look you want with made to measure curtains, blinds, or shades or shutters that will absolutely fit your windows and give it a designer look. This entry was posted in Windows Done Right on April 24, 2015 by 3 Day Blinds.